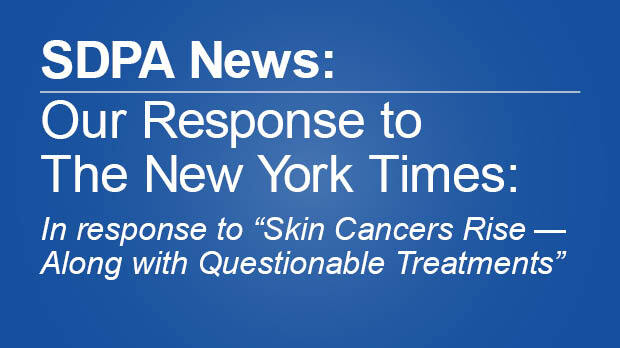 As many of you are aware, the New York Times recently ran an article, “Skin Cancers Rise — Along with Questionable Treatments” (Health, Nov. 20), that paints a misleading and disparaging picture of the PA profession. The SDPA believes in, encourages and promotes a team-based approach to the care of patients. Below is a letter which we have sent to the New York Times. 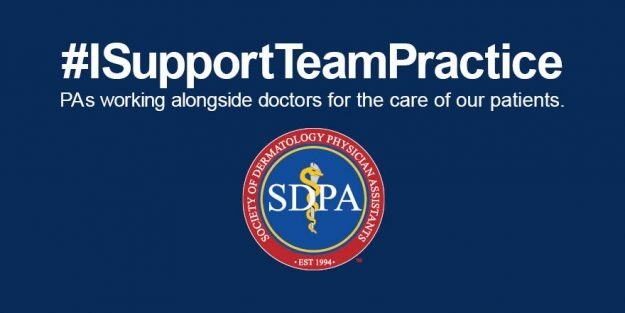 We encourage you and your team to show your support of the PA profession by sharing the image below (click to save a larger version, or right click on the image to save to your device) on your social media, along with the hashtags #ISupportTeamPractice and #SupportPAs. An attack on one member of the team is an attack on the whole team. Your article “Skin Cancers Rise—Along with Questionable Treatments” (Health, Nov. 20) not only presents a misleading picture of the care that physician assistants, better known as PAs, provide in dermatology, but alarmingly minimizes the dangers of skin cancers and the entire specialty of dermatology. Your story relies on the experiences of just two patients. Last year alone, PAs had more than 400 million interactions with patients across all medical specialties and settings. Clearly your sample size is considerably inadequate for accurate assessment of PA competence, and inarguably biased. PAs are trained in the medical model, and often learn alongside medical students, residents, and fellows at well-respected universities. They receive thousands of hours of patient care experience and gain further clinical knowledge through more specialized training on the job. PAs are licensed to practice medicine in every state, often by the same Medical Board that licenses physicians. PAs serve on the front lines of our military forces by providing trauma care in combat to our nation’s finest service members, and are qualified to perform a range of clinical procedures from skin biopsies to more complex procedures in other hospital and office based settings. In addition, your article failed to cite any of the studies that demonstrate the high quality medical care that PAs provide and it failed to include stories of patients who have had positive experiences with PAs. It also failed to acknowledge the thousands of dermatology PAs who collaborate closely with their board-certified dermatologists in a team-based practice focused on providing much needed access to quality dermatologic care for their patients. Each dermatologist-PA team is responsible for ensuring the PA is adequately trained and has a plan in place for consulting with their collaborating physician when needed. The PA profession was created to improve and expand access to healthcare, and it has done just that. Your comments regarding the diagnosis and treatment of skin cancer was not supported by the American Academy of Dermatology, American College of Mohs Surgery, or any other credible source which relies on evidence-based medicine to develop guidelines for management of skin cancer. Finally, neither the Society of Dermatology PAs nor the American Academy of PAs were quoted in your story. Either of these institutions would have provided accuracy and balance for this very one-sided piece in regards to PA practice. The PA profession was created 50 years ago to allow greater access of quality care to patients. Each day in the US, over 100,000 PAs work tirelessly with their collaborating physicians across all medical specialties to provide the highest quality health care with the patient’s best interest in mind. Your article’s premise is unfounded, presents weak correlations as facts, and undermines the work of a well-respected profession that has a long-standing history of providing timely, quality care to patients. Key Statistics for Melanoma Skin Cancer. American Cancer Society. https://www.cancer.org/cancer/melanoma-skin-cancer/about/key-statistics.html. January 6, 2017. Accessed November 21, 2017. Joseph MG, Zulueta WP, Kennedy PJ. Squamous cell carcinoma of the skin of the trunk and limbs: the incidence of metastases and their outcome. Aust N Z J Surg. 1992;62(9):697. Brantsch KD, Meisner C, Schönfisch B, Trilling B, Wehner-Caroli J, Röcken M, Breuninger H. Analysis of risk factors determining prognosis of cutaneous squamous-cell carcinoma: a prospective study. 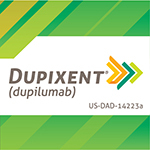 Lancet Oncol. 2008;9(8):713. Brougham ND, Dennett ER, Cameron R, Tan ST. The incidence of metastasis from cutaneous squamous cell carcinoma and the impact of its risk factors. J Surg Oncol. 2012 Dec;106(7):811-5.